Discussion in 'South Asia & SAARC' started by OverLoad, Apr 2, 2017. 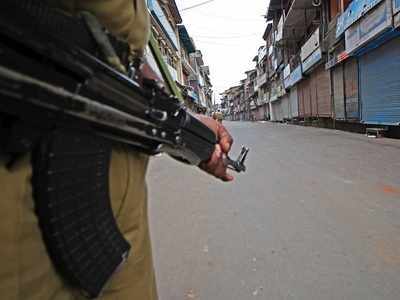 SRINAGAR: One security personnel was killed and at least eight others were injured on Sunday in a grenade attack by militants in Nowhatta area of old Srinagar. Terrorists hurled the grenade on a police party next to Ganjbaksh Park in Nowhatta area of the city at around 7.00 pm when the cops were withdrawing from there after day-long law and order duty, a police official said. The injured cops were taken to a nearby hospital for treatment. The official said miscreants had engaged the cops by pelting stones on them in the same area. Security forces have launched search operation in the area to nab the terrorists.